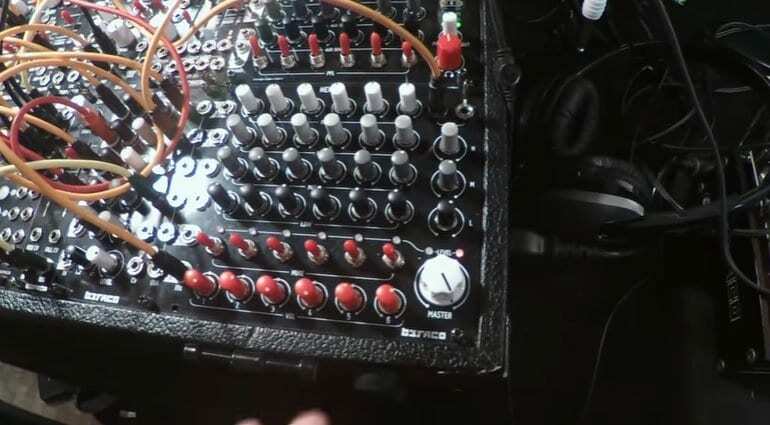 Befaco were showing an innovative and uncommonly feature laden 6 channel Eurorack mixer. It’s certainly a challenge to incorporate a proper mixer into a 3U form factor. 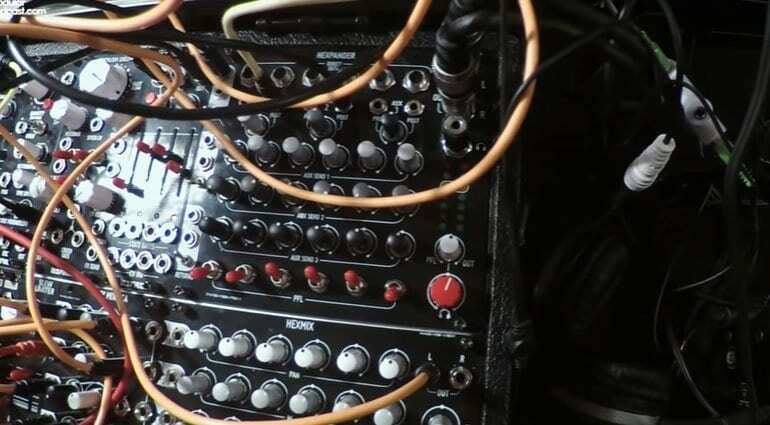 Most Eurorack mixers do barely more than sum a bunch of inputs, whereas with the Hexmixer Befaco have come up with something much more comprehensive. The first thing you should know is that it’s a mixer of 2 halves. The Hexmixer contains the channel inputs, fader knobs, pan and a 3 band EQ. 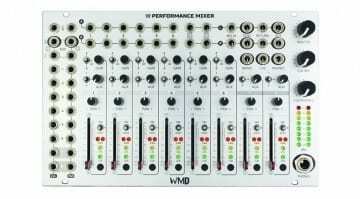 It has master outputs and a master EQ and is a perfectly functional 6 channel mixer. 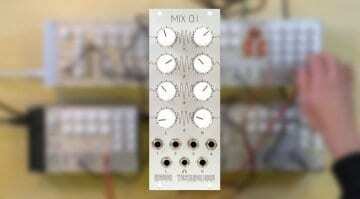 The optional second half is the Hexpander and this really completes it as a mixer. 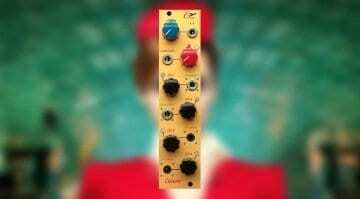 The Hexpander contains 3 aux’s with sends for each channel and stereo returns, a row of PFL switches output metering and a headphone output with a mix knob for master or PFL. So with the Hexpander you can set up 3 independent effects loops, cue tracks with the PFL switch and hear what’s going on with the one unit. 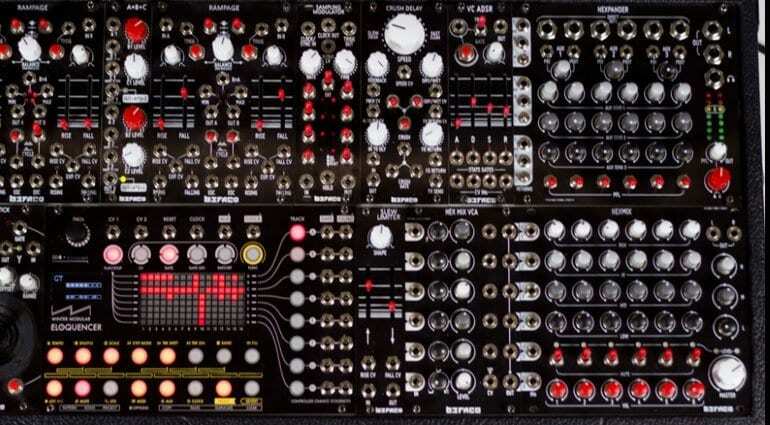 In designing these two modules Befaco looked at running them side-by-side in a 3U row, but, of course, that would lose all sense of a channel strip. So instead they’ve designed it to run in two rows, one on top of the other, giving you this fabulous full mixer continuity. The EQ on the 6 channels is “DJ style” in that they cut very hard giving the feel of kill switches. Whereas the EQ on the master output is much softer and more traditional. 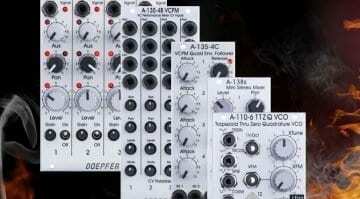 You really don’t see EQ like this in Eurorack modules. The Hexmixer also has these remarkable vactrol based mute switches. So rather than a sharp switched mute in/out you get a more natural, somehow soft in/out action. They are also momentary switches meaning that you can pull the switch down to let signal flow which then cuts when you release. This lets you sort of “play” the channels, which is complete genius. Then all you do is push it forward to latch the mute off. At the top of the Hexpander is a row of direct outputs that you could use for multi-channel recording into your audio interface. So you can record the master mix and the individual channels into your DAW for a bit of post-production. The aux sends also have parallel pre and post outputs sockets. They have stuffed everything into this module. This is a really interesting and yet under-reported module from the show. I didn’t see it in person but came across the video (below) from DivKid who seems to be the only person who spotted it. There’s nothing on the Befaco website about it and I have no further information about release or pricing. Once I know more I’ll be sure to update you.